Being from the northern part of India and an avid traveler, it was a dream to touch down the southernmost tip of India’s mainland, and so the heading of this travelogue read as “Epic Road Journey-India Southern Gateway.” I got the golden opportunity of doing this in 2014 when I took a voluntary transfer to Namma Bengaluru from Aamchi Mumbai.The trip was spiced up with the presence of my family and also my colleague who came down to Bengaluru. This epic journey spanned across 2000 km ,six souls, four tourist hotspots 2 Honda cars, two states and millions of experience to be cherished for whole life. All of our prior stay bookings were made much in advance considering December being the peak season for traveling and relaxing after a yearlong of work. I will write down the stay detail along with their review as and in when we reach the destination in order to keep you all glued. The best part of our journey was self-driven rental car from Bangalore-based start-up Zoom Car. 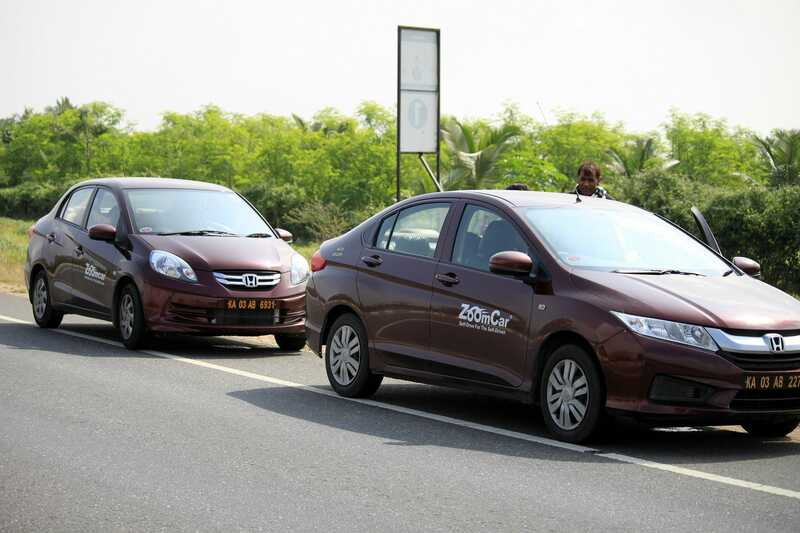 We took brand new Honda city and Amaze 2014 model. In muscles, City seemed like a big brother of Amaze. Our high level, the plan was to reach Madurai (the temple town of Tamil Nadu) on Day 1 same by noon and then after checking into the hotel, visit the famous Meenakshi Amman Temple by evening, take a night break at Madurai and then start for Rameshwaram the next day early morning.En route, we were greeted by rains at Krishnagiri region. Having rains was soothing and instilled an awesome feeling to start the journey. We took our first much-needed breakfast break nearby Salem with delicious local and freshly made Idli, filter coffee and masala dosha. 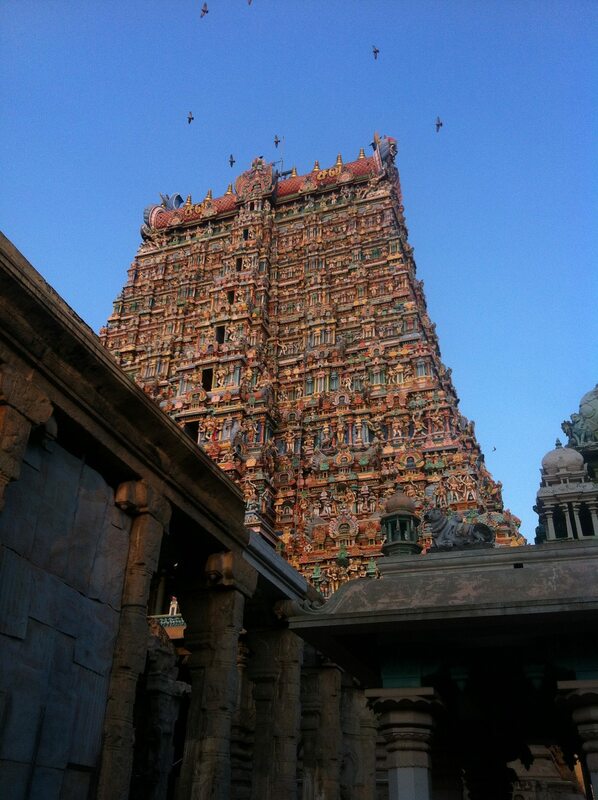 We hit Madurai town by 12 PM, and it was scorching, the sky was clear and the sun was rightly above our head. Being an old temple town, you should expect narrow and crowded roads and lanes. We were facing issues in locating our booked hotel “Poppy’s Madurai”. The language barrier was only adding frustration to the situation. Fortunately, my smartest Apple iPhone and Google Maps came to our rescue, and we reached our hotel by 1:30 PM. We inquired at the front desk on temple visit and decided to start by 5 PM. 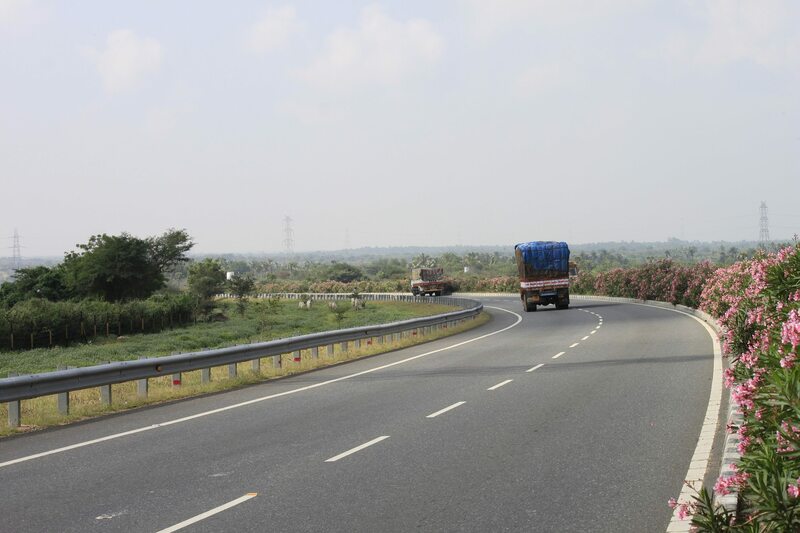 Excitements to arrive at the eastern tip of India was high, and so we woke up early and had good complimentary breakfast, checked out and started our journey towards Rameshwaram on double lane highway. The road was ok; our speed was restricted because of the road being two lanes and busy traffic. After 2hrs of the drive, we started seeing gradual changes in the landscape which was the tell- tale sign that we are leaving India mainland, and the vast Bay of Bengal is nearby. 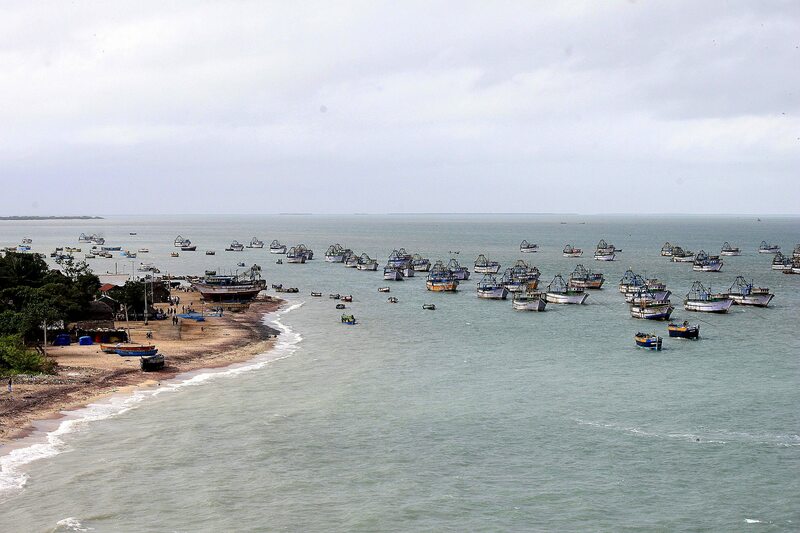 We have greeted again with rains on approaching the famous “Pamban bridge”. Few minutes of stopover at the middle of the bridge was like “entering a different world”. 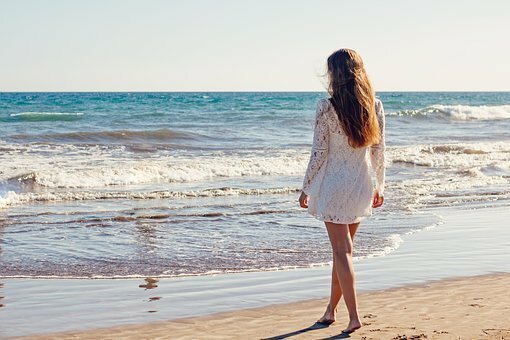 All your pain, gloom will vanish when you witness the magical greenish mighty ocean on both sides and the powerful wind blowing over the bridge. The view of railway track cutting across the sea will add to the beauty of the landscape. 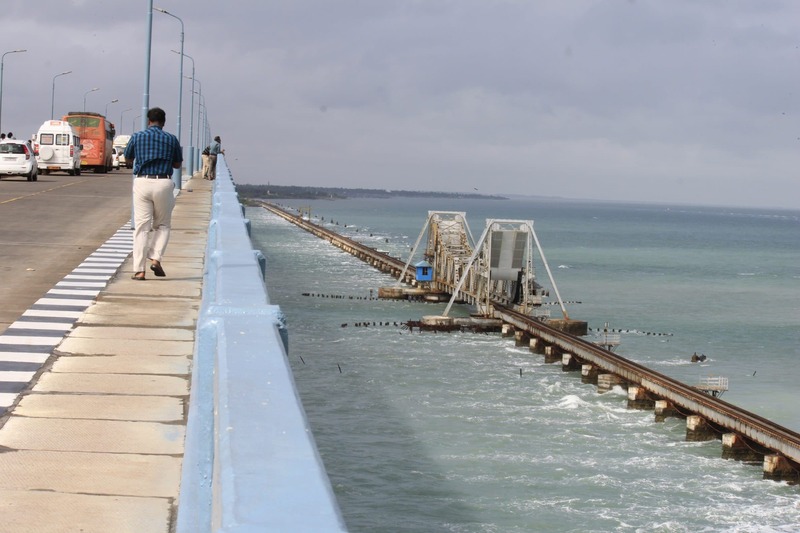 Pamban bridge left an indelible mark. We started for our hotel with a promise to stop on our way back. We checked in to our hotel “Daiwik” which is a pure Vegeaterian premium category accommodation in Rameshwaram and is hardly 5 kms away from the main “Ramanthaswamy temple”. 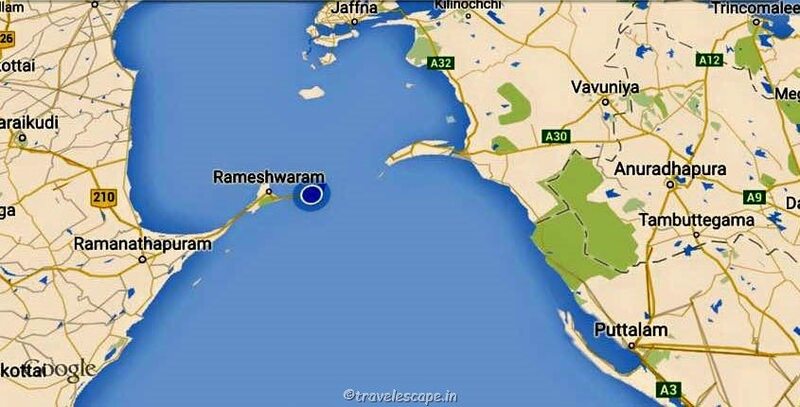 Rameshwaram, as you all know is the place from where the Hindu god Rama built a bridge, across the sea to Lanka to rescue his beloved wife Sita from her abductor Ravana. The Ramanathaswamy Temple dedicated to the Hindu god Shiva is located at the center of the town and is closely associated with Rama. The temple along with the town is considered a holy pilgrimage site for both Shaivites and Vaishnavites.The hotel arranged the temple priest for us, so that we can perform the puja in the evening. The priest, who was well versed in Hindi language helped us to do the puja and also narrated the importance of Rameshwaram. We returned to our hotel and after dinner crashed on the bed after having a long but eventful day. The next day was supposed to be the light day, and so we wake up a bit late and after having complimentary breakfast planned to visit “Dhanuskodi- the ghost town”. 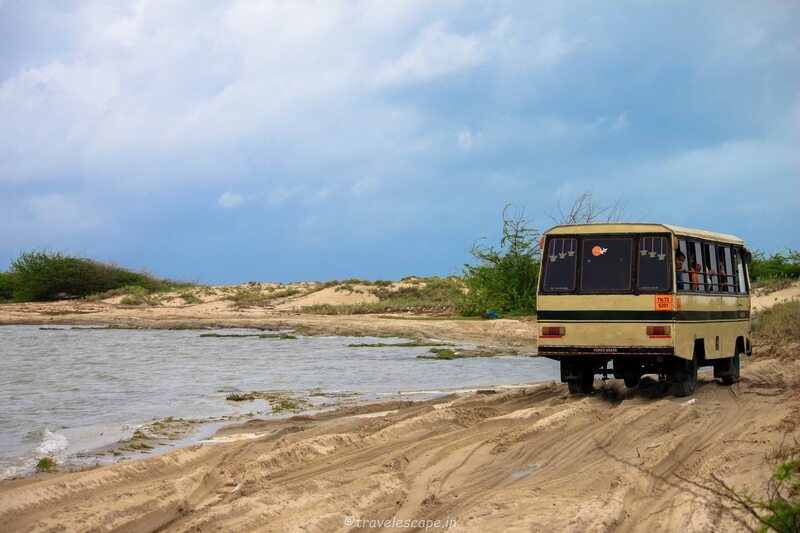 To reach the place, one has to hire or take his 4*4 wheel drive vehicle to tackle the terrain of sand and sea. Dhanuskodi is the dead end, and Srilanka is only 18 miles from there. 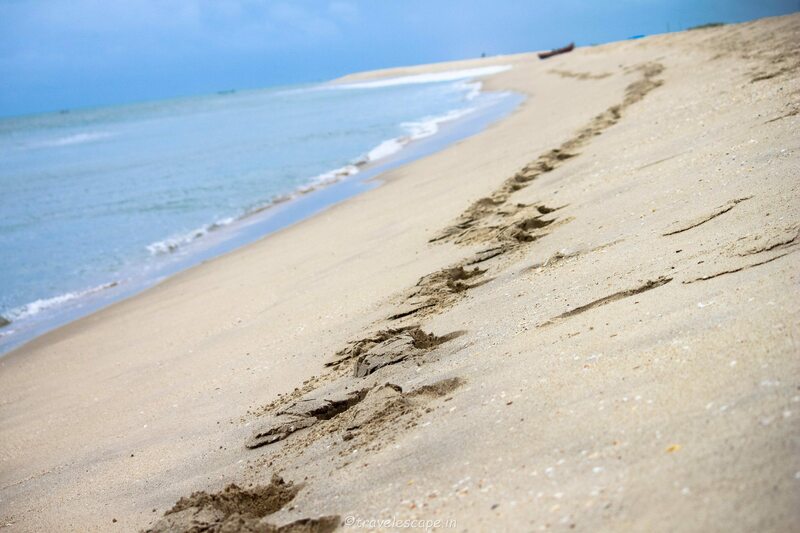 This is the place where Lord Rama built his setu towards Srilanka. If you want to know the detail of Dhanuskodi – read my blog here ” here”. After one in a life time visit to Dhanuskodi we reached our hotel, had our lunch and went for local sightseeing of town. But due to heavy rains, had to abort midway and return to our hotel. We had long discussions on the history of Rameshwaram, Ramayana and everything associated with it. We realized it was 9 Pm and so had to rush for dinner. The next day plan was to start for “Kanyakumari” and the best or worst part was that no one knows what will be the road conditions on our way. After the dinner, we called off the day. The next morning we all woke up a bit early to pack up and checkout as early as possible, but we “the lazy bums” took all sweet time. Eventually after breakfast and checking out we were on the road by 10 AM roughly 1 and half late against the plan. Oh! 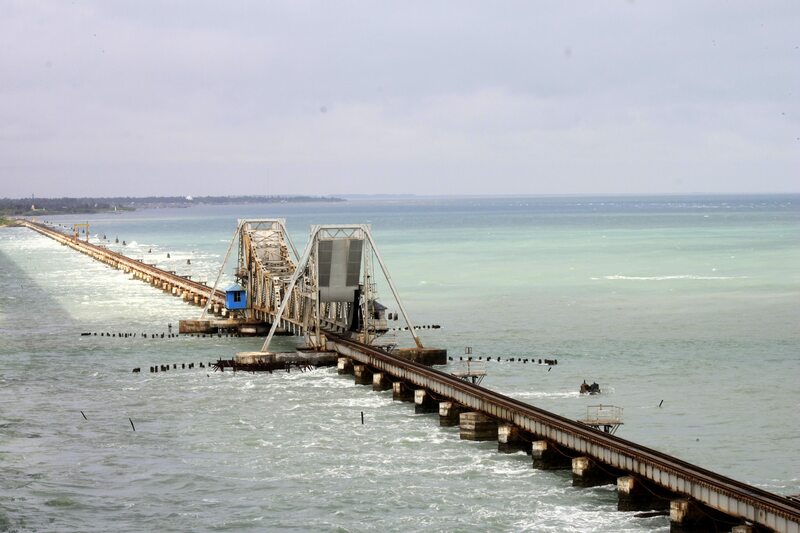 how can we miss the magical “Pamban” again and so this time we took 45 mins break on the bridge, clicked photographs, witnessed the morning rays and the “best”, a passing by passenger train. 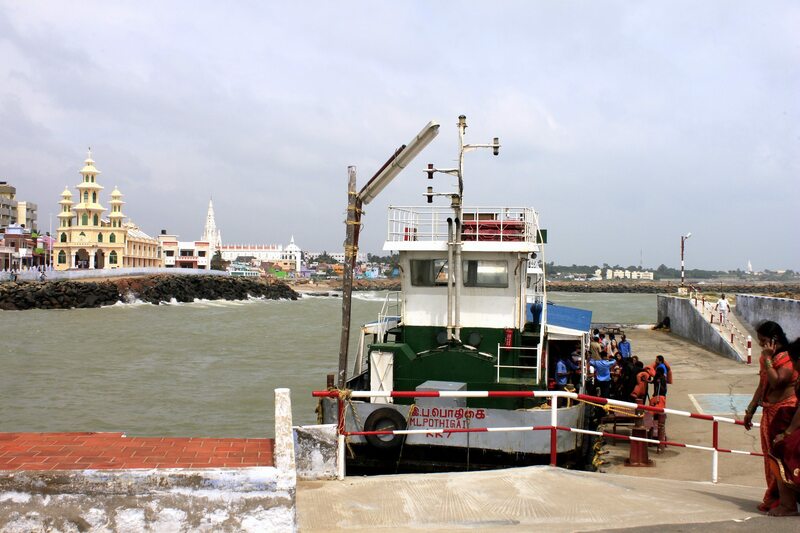 We left Rameshwaram with heavy heart and took Rameshwaram-Kanyakumari highway. As expected, the roads were not good in shape, and recent rains made it worse. By trusting google maps, we continued on the unknown path as the language barrier in this part of the country was at the peak. After 3 hrs on the road, we understood that we won’t make it for lunch at our booked hotel in Kanyakumari, and so we took it easy considering we are already late. We stopped at numerous places to take photographs, snacks, and gossips. Although the road was in a bad condition but the landscape was breathtaking. We witnessed thousands and thousands of windmills around Kudankulam area. We finally reached Kanyakumari town by 4:30 PM and saw a signboard which read as “Road ends here” and it did end. 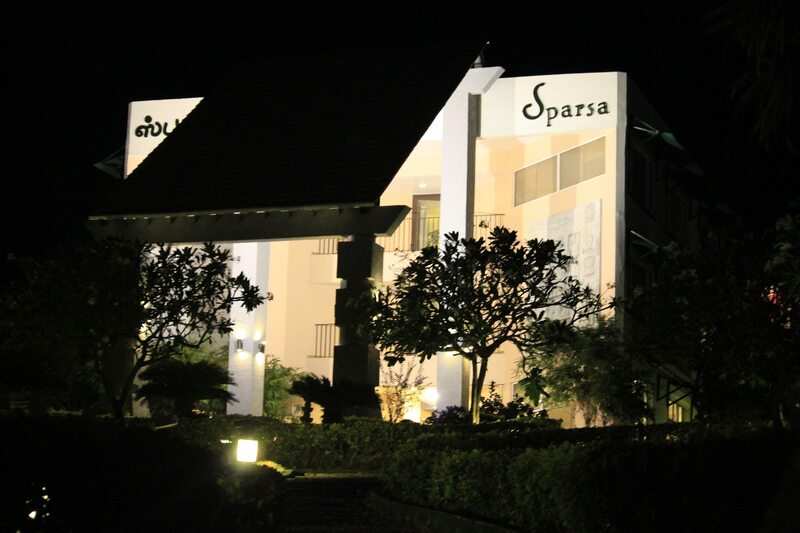 We checked in another good hotel called “Sparsha”. It was Ocean facing and nicely built with large sit outs and pool. After light snacks, we went out to witness the sunset, it was magical and considering that we are at the southernmost tip of our peninsula was like a different feeling. We saw that the sky turned red and then it was all dark with the noise of ocean waves hitting the shore. 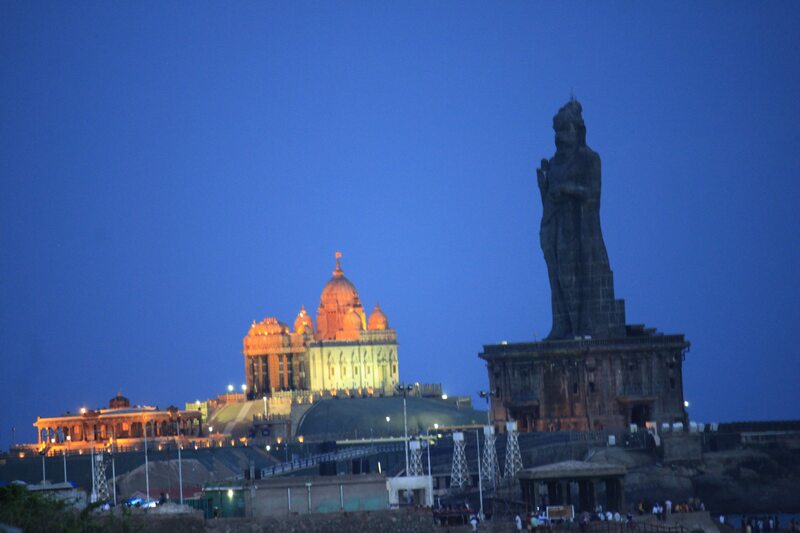 On our left were the famous Vivekananda Memorial and Thiruvalluvar Statue which was then lit up with colorful lights. Our next day plan was to go and see the Vivekananda memorial and do local sightseeing. We had our dinner on road side eateries and thereafter relaxed at the hotel room. We had small party and discuss about our personal experience from life. By 11 Pm, we crashed to our bed for next day plan. The next morning, we wake up by 5 AM to witness the magical sunrise from east, however we soon realized that the clouds are going to spoil that moment and it did. Nevertheless, we ventured out and roam on the streets. Post our complimentary breakfast we make our way to Vivekanada memorial ferry point. Oh boy! On reaching we saw long queue for getting the tickets, standing in this long queue and that too on hot noon was going to be difficult task, however we then realized that there is premium tickets for ferry by paying some extra bucks. We rushed to that counter and saw it was all empty. We bought the tickets and boarded the ferry. The 500 meter sea ride was really rough, but on reaching the memorial we forget all the pains and waiting. It was just awesome, memorable and spectacular. The sky was clear, wind was blowing which makes it ideal for photography and so I clicked many of them. By 2 PM we decided to return back to mainland and on reaching the shore, we purchased quite a lot items from local shops, en route we also visited Gandhi memorial. By the time we reached our hotel we all were tired and dehydrated. We quickly had our lunch and went to our rooms for some rest. 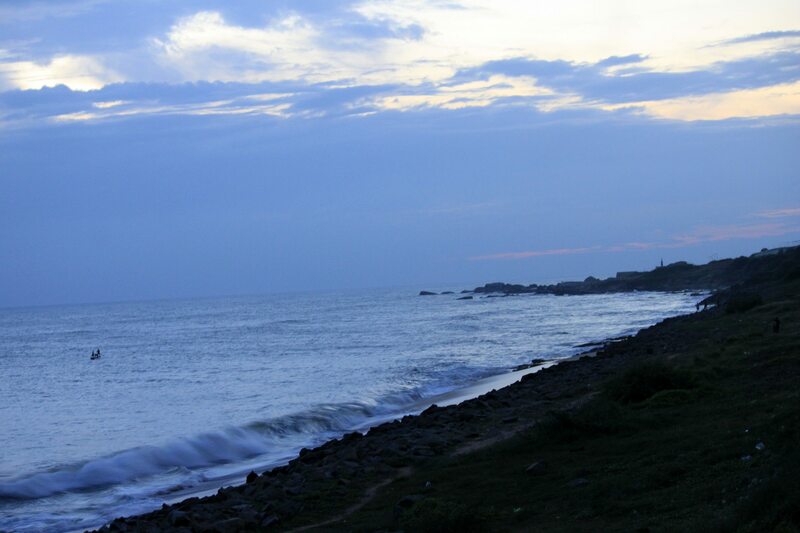 In the evening, we again went to see the sun set and capture the last evening of magical Kanyakumari. It was a great feeling for me to reach at this point and to make dream possible. We stayed at shore for many hours and finally returned to our hotel one last time for dinner. After dinner, we discussed the last stretch of our trip and that was “Kodaikanal” to be for next day morning. The next morning we all wake early and post breakfast we checked out the hotel, we took a group photograph with Ocean in background. We were on highway by 10 AM. At this time we knew much early that, we won’t reach Kodaikanal at planned time. It was 400Kms long journey to the destination. However, the good thing was national highway7 which is awesome to drive. 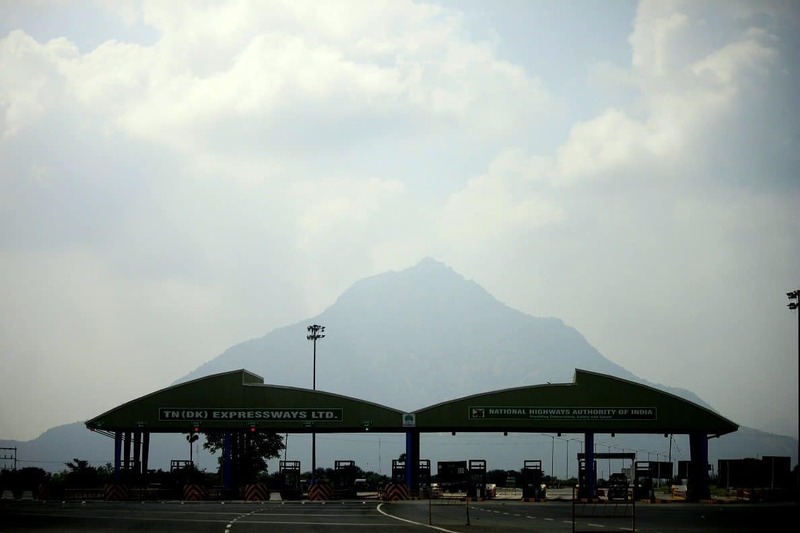 After we crossed Madurai, the road to Kodaikanal is to exit left and continue climbing upwards on Palani hills. Oh man! It was steep 2 hrs of continuous climbing on mountain with narrow road; however the spectacular landscape made it memorable. The temperature was dripping as were climbing up and as we hit the Kodaikanal town it was like 4 PM and was freezing outside. 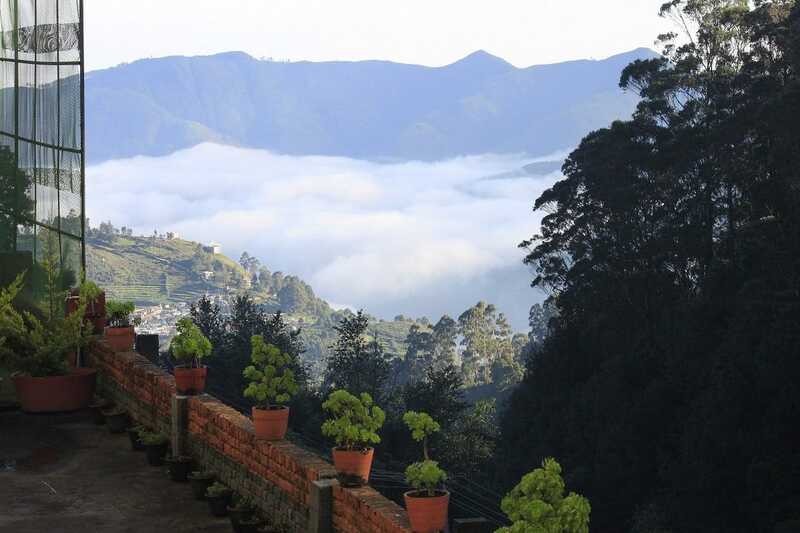 Kodaikanal or Kodai which in Tamil means “gift of the forest” or “the summer forest” is a hill station in the mountains of the Western Ghats. At over 2,000m it is cool, quiet and peaceful. The center of attraction is artificial lake in the middle of town. We booked our stay in budget hotel called “The Karnival Resort”, we faced some challenge in locating the hotel. It was located on other side of town. We reached hotel by 5 PM. We checked in and quickly ordered tea as the weather outside was really getting colder and darker. It was really very cold. We took quite a lot time to adjust. Any outdoor sightseeing was not going to happen due to extremely cold weather added with our tiredness from long trip. We decided to have dinner early and sleep thereafter. In between dinner, we planned to visit the lake and stop by for few hours the next day. Also the next being Sunday was also the last day of this week long trip. After having good dinner, we talked and gossip for a while. I was not happy as tomorrow it was going to be over and back to again same chaotic urban world, but that’s the way it is. We went to our rooms and tried our best to sleep early and to protect ourselves from extreme cold. The next morning was lovely, shining and warm; we wake up with tea and filter coffee as our favorite beverages. We went to our balcony which has forest view to straight and deep valley view in the front and town being the right and the left view was awesome spectacular view of silver cascade for which KodaiKanal is famous. With sky being all clear it was really the most beautiful Sunday. My dad narrated his experience of morning walk in the streets of Kodai; we all decided to have our breakfast together one more time. During our light breakfast we laughed, talked and shared all the experience from the trip. But then a thought of this long trip coming to end in few hours make all of us bit sad. 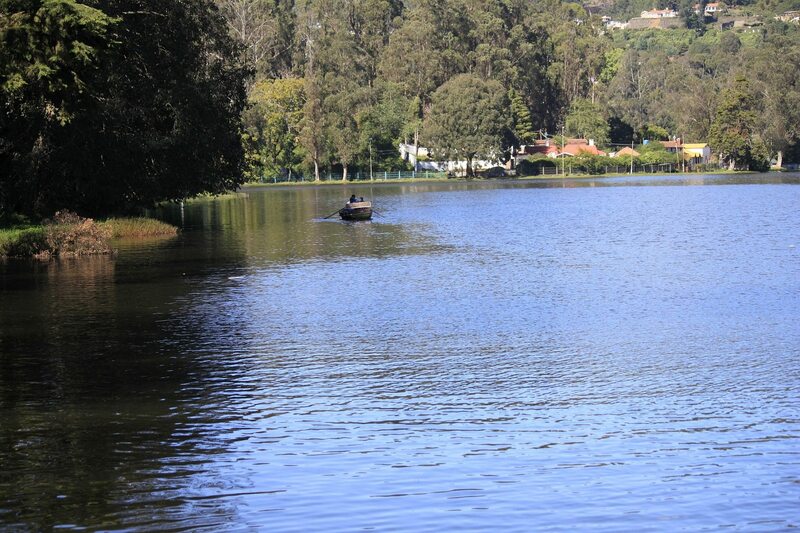 After breakfast and hotel’s garden visit, we decided to checkout and visit the famous and serene Kodaikanal Lake. The glimpse of lake as you approach will take your breath away. You can do boating, horse ride or just roam here and there. The best part is you can go back to your school days by taking bicycle on rent on hourly basis. For shoppers, one can bargain and buy chocolates, herbs and some local gift items. It was around 11 AM and so we decided to hit the highway for way back to our home Bengaluru. 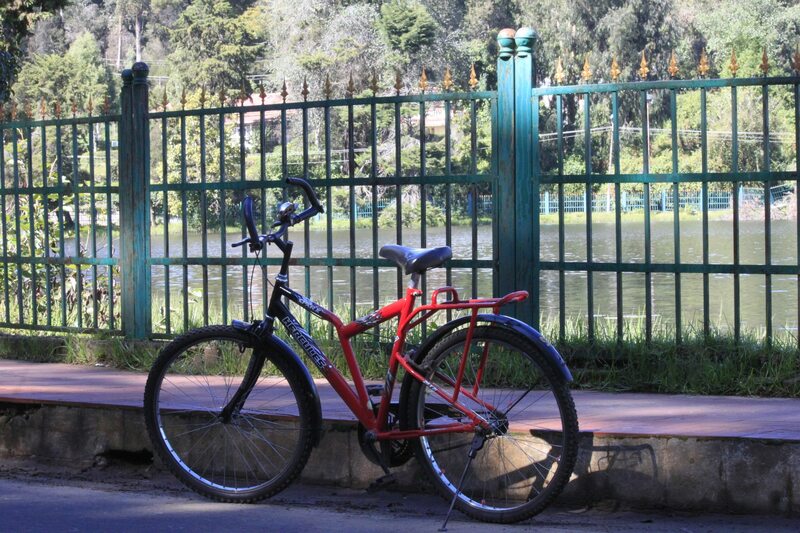 With heavy hearts we bid adieu to Kodaikanal town for a promise to return some other day. This time the descend from hill was little bit quicker then climbing. 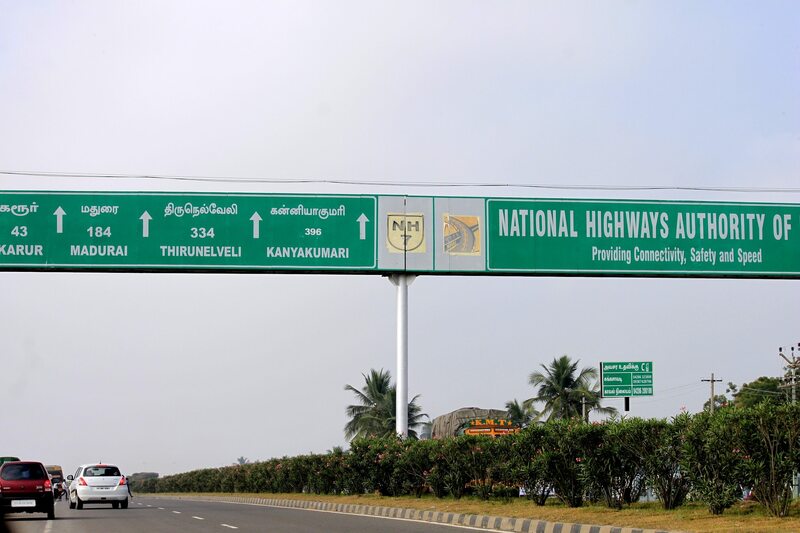 After a detour we hit the national highway 7. We took quite a lot mid-way breaks for lunch coffee and for refuels, considering the fact that this time we don’t have to reach early. Finally, we reached our destination on 21st December by 8 PM. We quickly unpacked our whole stuffs from trip and went to bed. If you are reading my words till this point, would like to thank for knowing our experience and exploring some unknown and some very well-known places in south India. Oh yes- by now you must also realize that the print out having to do list that we took night before starting our journey proved no use. 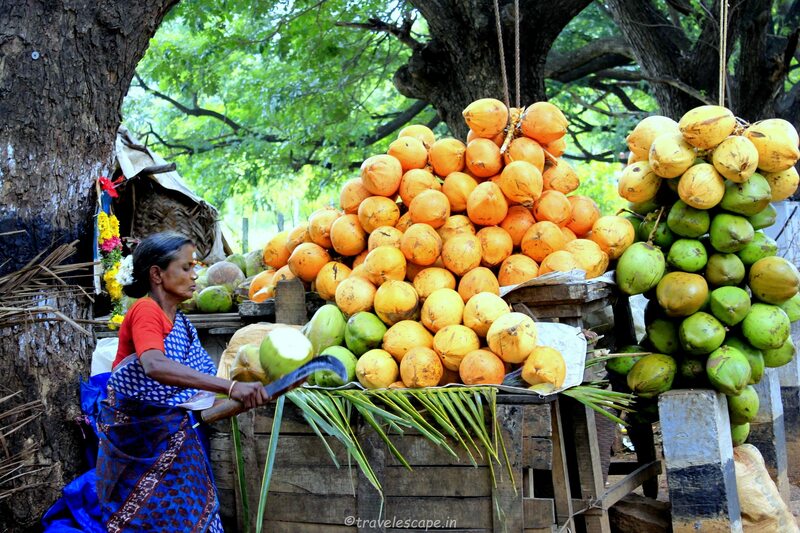 What is useful and important knows about the places, local culture, people and millions of experience. Great write-up…. 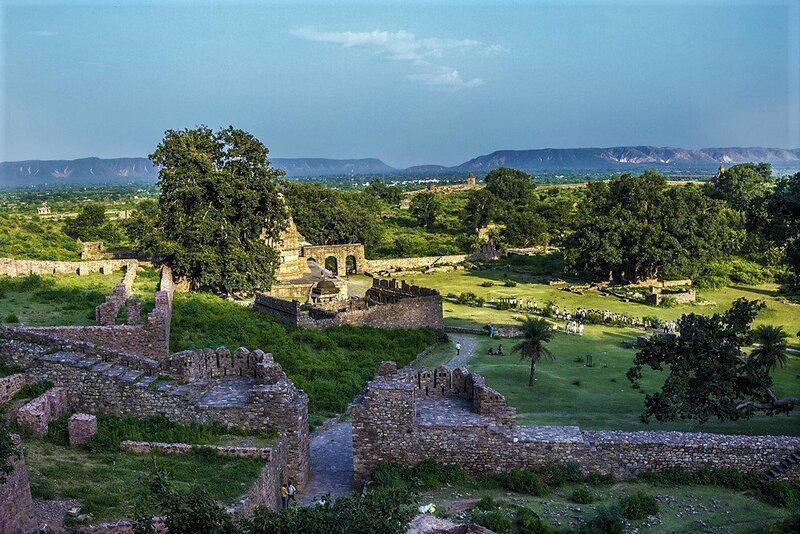 Its so elegantly descriptive that I felt like traveling all these places myself…. 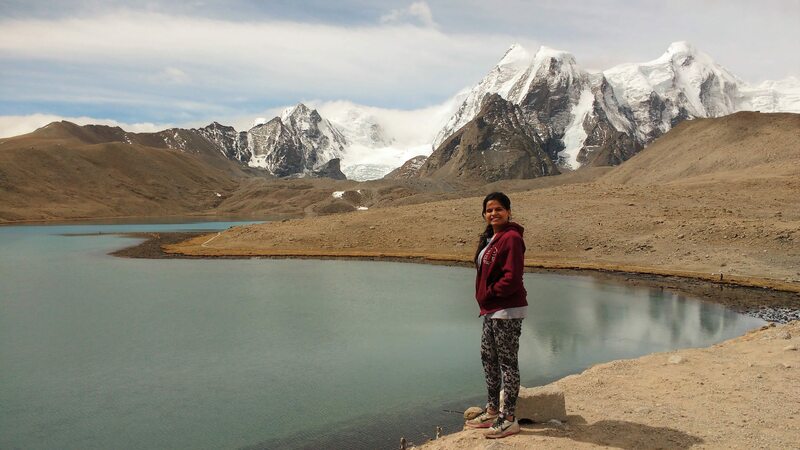 Nice post.If you want to experience the real India then, please have a look on my website http://www.break-way.in which is also focusing on India’s untouched and unexplored places to make your travel journey memorable. thanks for sharing a journey. I like to travel all those places with my family.